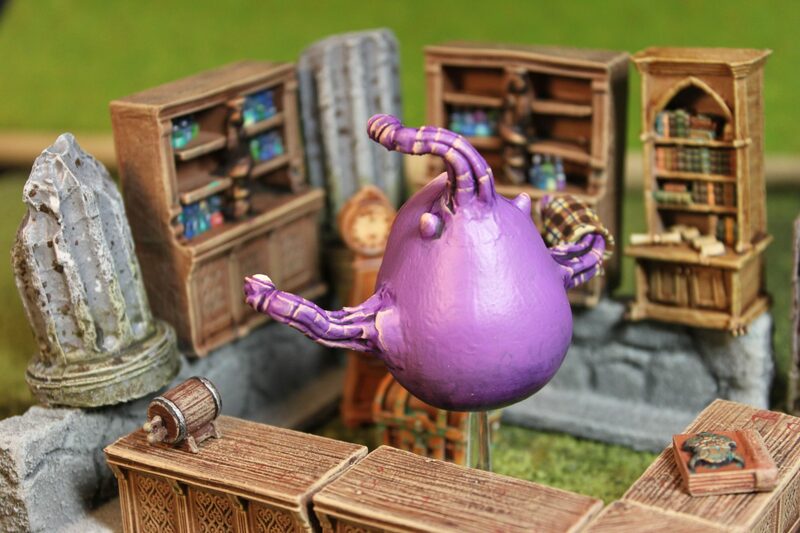 What started out as a unintended joke, has taken shape and is fast becoming a new entry to my “War of the Triplets” Dungeons and Dragons campaign. 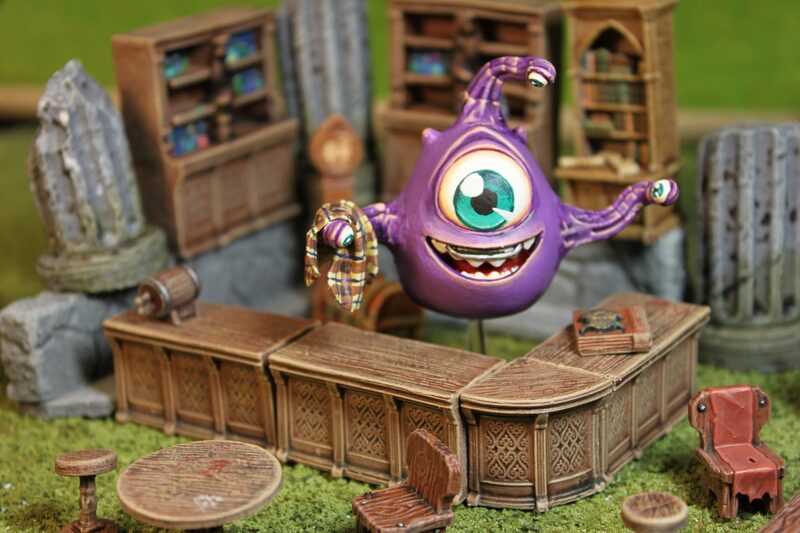 I give thee: Bebbie the Beholder Barkeeper, owner of Bebbie’s Bar and boss of the bouncer, Techno Viking! 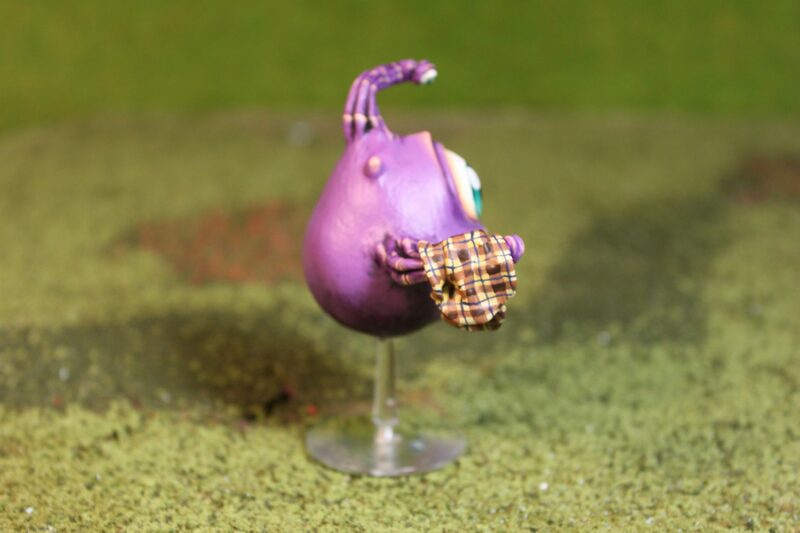 I already have a purpose in my mind and hope to be able to introduce Bebbie to my players in tomorrow’s game! 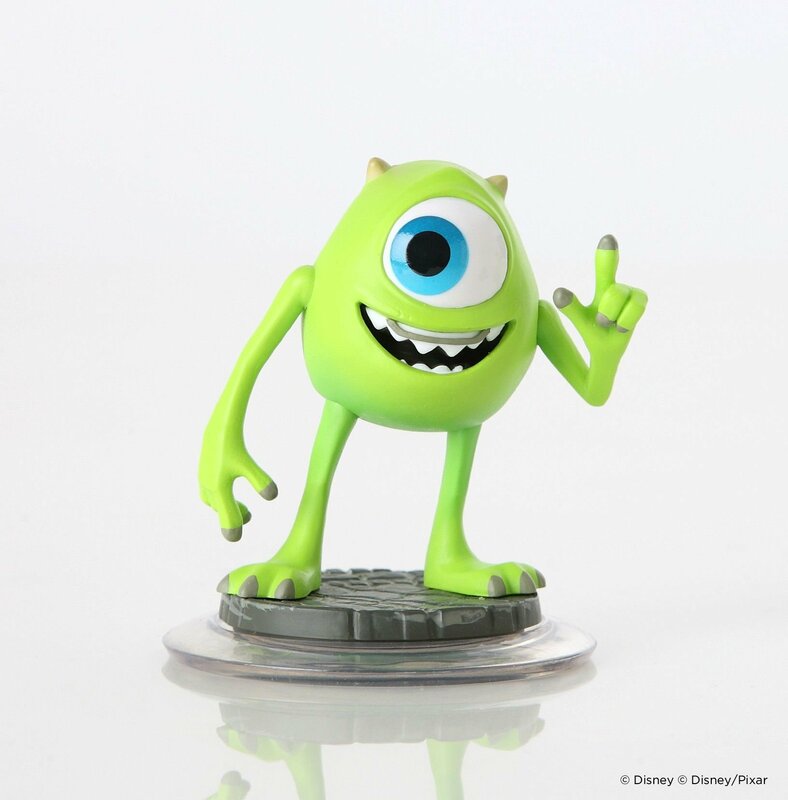 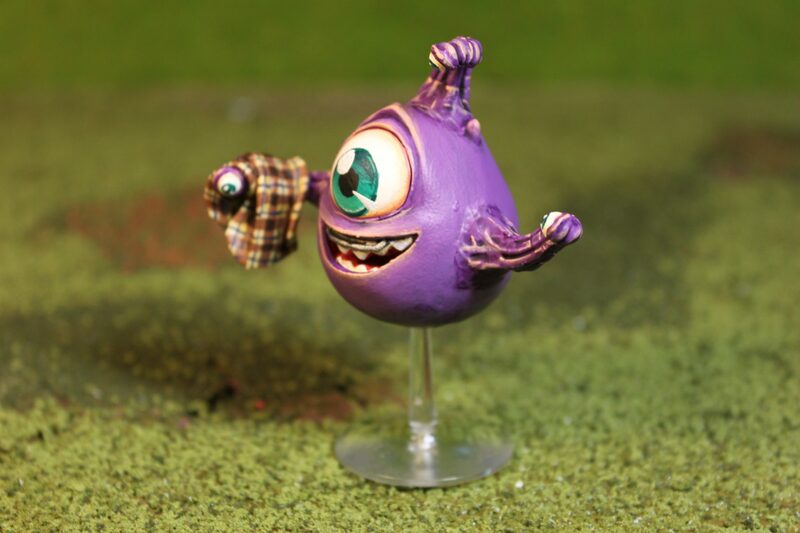 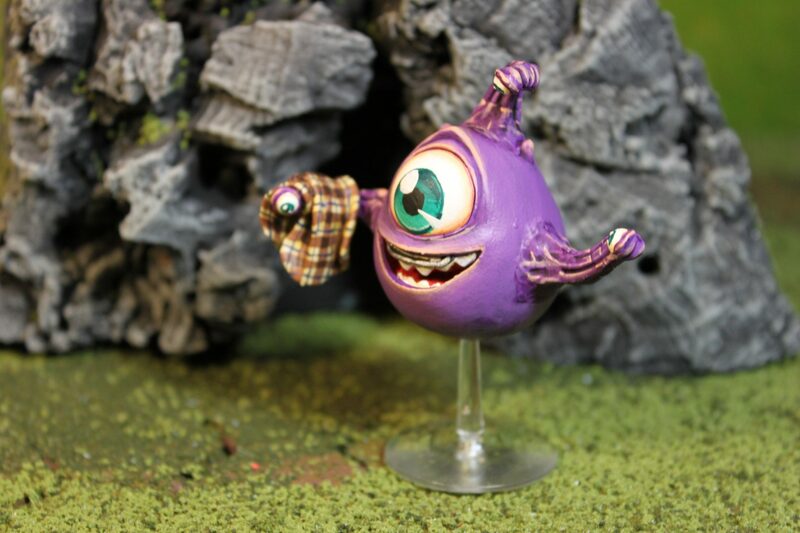 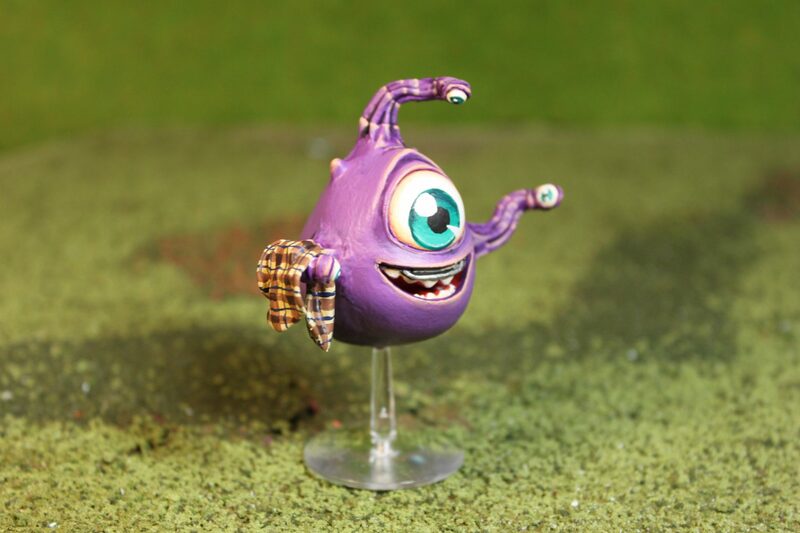 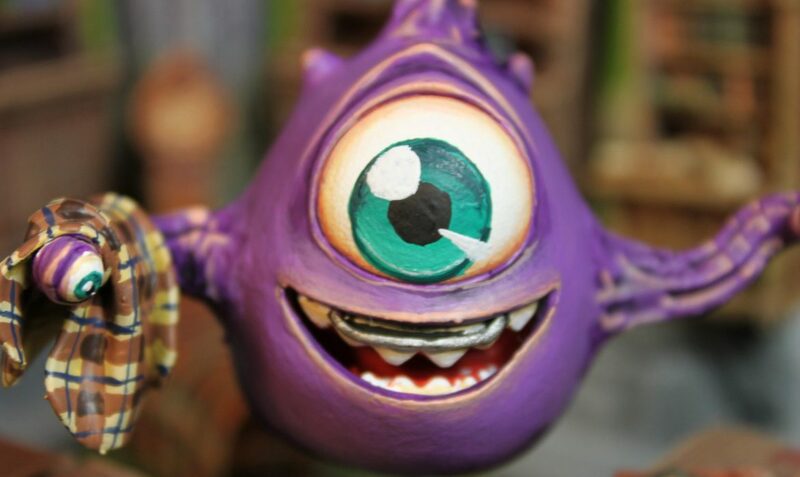 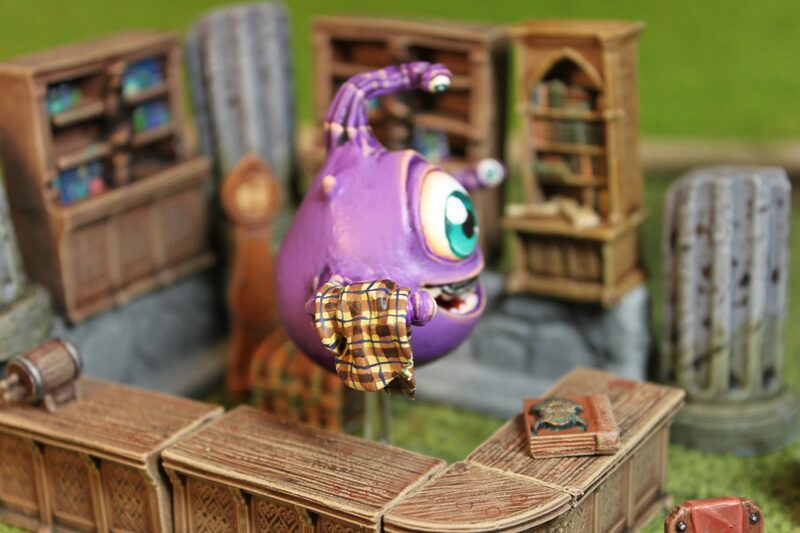 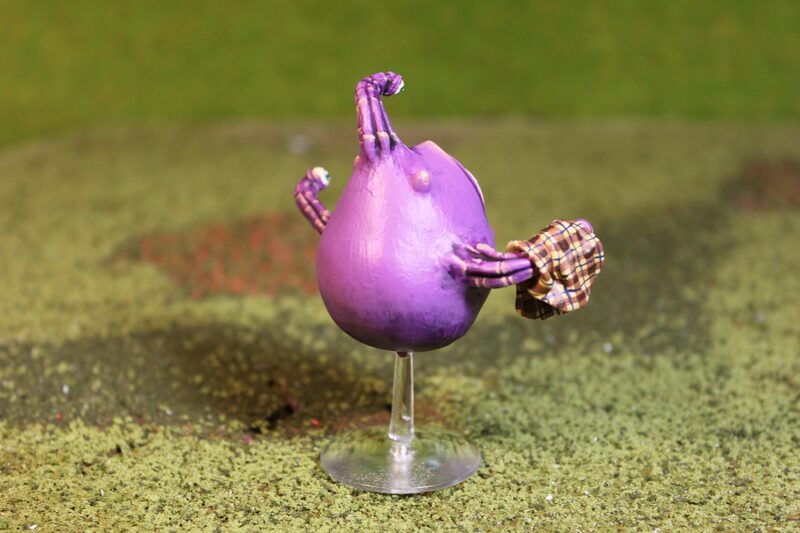 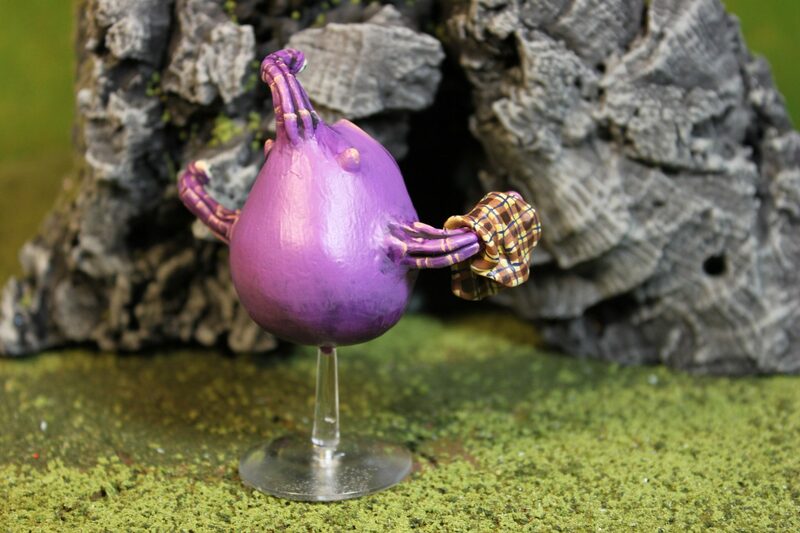 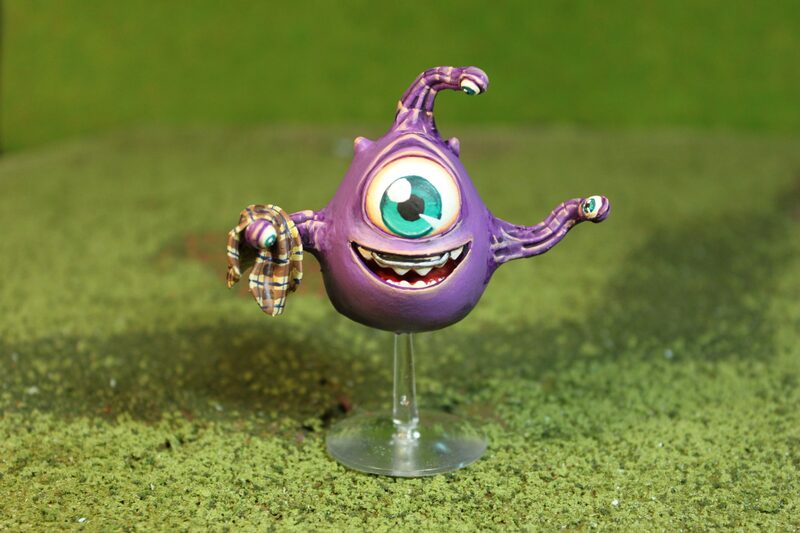 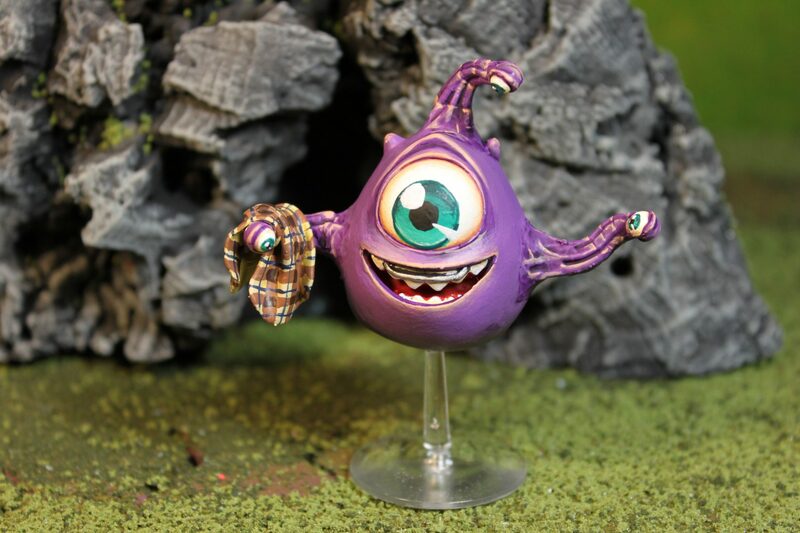 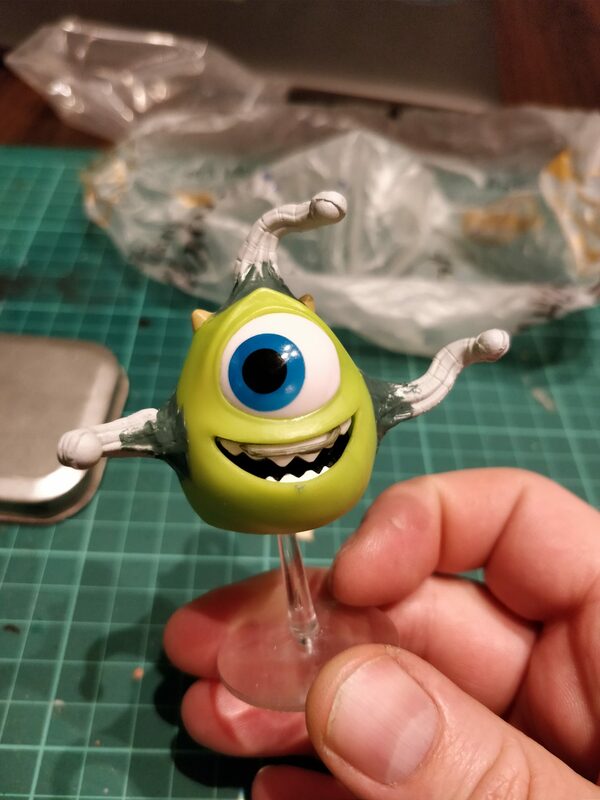 Bebbie is customer made from a Mike Wazowski toy with eye stalks from the D&D beholder miniature. 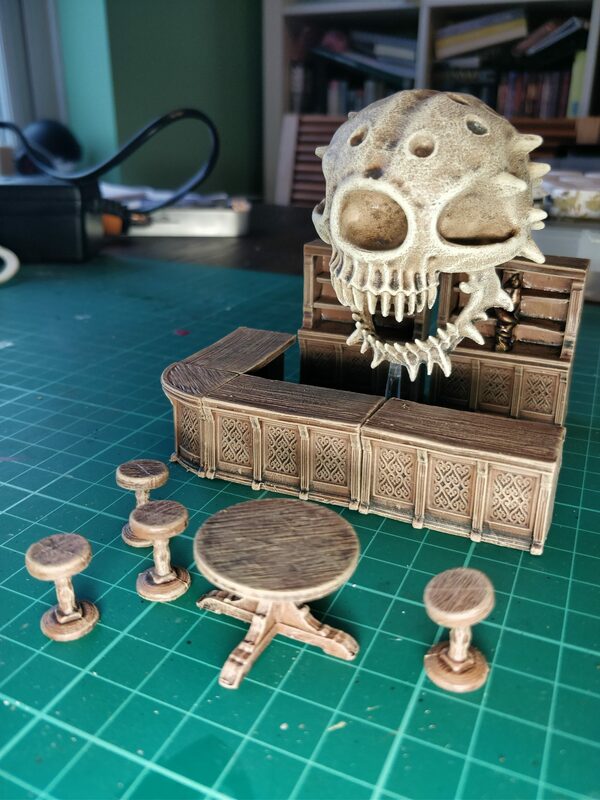 Actually, the idea for came from me playing around with my bar set and my Death Tyrant miniature, but shhhh don’t tell anyone!